Design while using your imagination! These Mini Maker Tubes each include step-by-step instructions and all the pieces you need to build a unicorn. Or, use your imagination and create your own design! 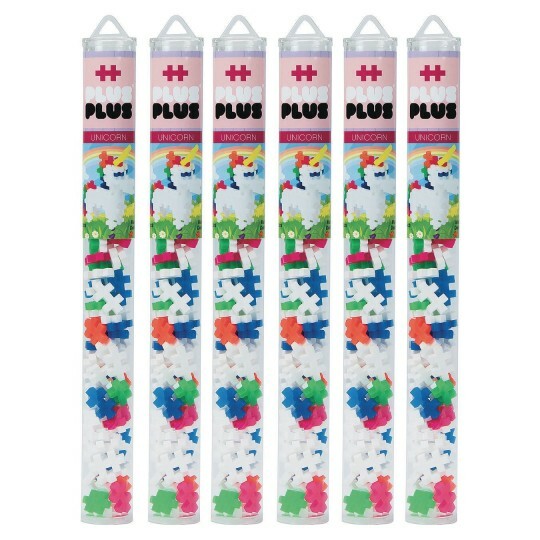 Whether for young kids, tweens or 'kidults', everyone will love using their imaginations with Plus-Plus Tube mixes. Just one simple shape will give them endless possibilities and hours of fun. 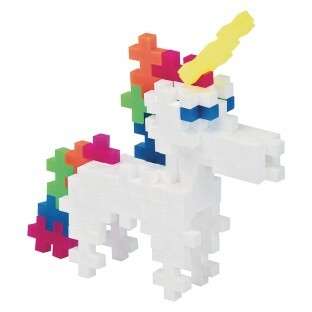 Plus-Plus bricks are precision crafted in Denmark and are BPA-free and phthalate-free European plastic. Their vibrant colors will show off their creative flat mosaic or 3D designs, as well as stimulate their innovative talents. Each tube features 70+ bricks in a reusable storage/travel container. Use them as incentives, gift them as a party favors, use them as package toppers, and more. Pack of 6 tubes. Pieces measure approx. 3/4” x 1/2”.